We’re gearing-up to launch the Smart Money People Prepaid Benchmark. It’s a space we’ve been getting to know for a while…and it’s pretty fascinating. 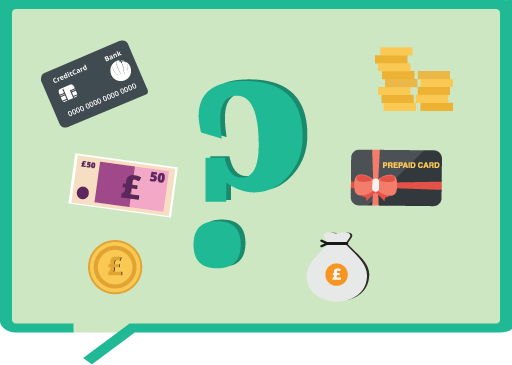 In this short blog post, I’ll provide a brief overview of what will be the first independent customer-focused prepaid benchmark undertaken in the UK. I’ll also highlight five key themes that help to introduce the prepaid category, and help to ground our benchmark. What is the Smart Money People Prepaid Benchmark? The Smart Money People Prepaid Benchmark, will provide an overview of the prepaid category in the UK from a customer perspective. The outputs will be valuable for issuers, programme managers, processors and distributors, as well as other interested parties, such as trade bodies and regulators. How will we get customer feedback? Combined, this customer feedback will help us to deliver a UK-first benchmark with a mix of actionable qualitative and quantitative insight. What do prepaid customers think about the market? What makes customers feel like they've been fairly and unfairly treated? How does pricing structure impact customer satisfaction? How does customer satisfaction vary by prepaid card type? How does customer satisfaction vary across issuer? What prepaid card features are valued most by customers? What are you doing well, and what could be better? How can your business grow faster and smarter? The term ‘prepaid’ means little to most consumers. In part, this is because the prepaid category revolves around niches, and houses a diverse set of brands, such as Pockit, Cashplus, WeSwap, Monese and Osper. The barriers to entry and cost of launching a prepaid card are both relatively low, which has helped to fuel a stream of new prepaid launches. Among the most innovative this year are Travelex’s SuperCard, Curve and Monzo. In the prepaid ecosystem, there are a number of key roles: Issuers, Programme Managers, Processors and Distributors. In simple terms, most prepaid card firms are distributors. They own their brand and work to attract new customers, and keep these customers active. Importantly, distributors tend not to be directly regulated by the FCA…the issuer is the regulated entity. Both MasterCard and Visa power prepaid cards in the UK, with MasterCard having a greater share of the market (>80%). Traditionally focusing on the unbanked (typically people with limited or a poor credit history), the government’s decision to launch fee-free basic bank accounts in January 2016 has already seen the departure of a number of well-known brands from the prepaid category, such as Secure Trust Bank. That said, as a category, prepaid is evolving fast, spurred by the growth of FinTech investment and low barriers to entry. As part of our background research into the prepaid industry, we spoke with 9 active UK-based FinTech investors. We wanted to jump into the mind of these investors. How do they see the prepaid space developing? Why do they view FinTech as the place to be? PSD2 in particular was cited amongst the top three things currently exciting these investors, and we estimate that PSD2 alone has placed a 4% premium on FinTech firms. With a growing volume of cards entering the market, and various business models in operation, it’s little surprise that while some cards delight customers, others don’t seem to be cutting the mustard with their customers. Our benchmark will help us to better understand how well the industry is working for customers. Since launch in October 2014, Smart Money People has become the UK’s leading review and insight platform for financial services. We’ve delivered customer insight for banks, insurers, building societies, alternative finance providers as well as trade associations and regulators.